Agree to Smiling Demon, the nebula looks pretty cool. Additionally to the aforementioned, I'm not quite sure about the asteroid. This is primarily caused by the melting surface; in space, there is no friction, so there wouldn't be anything comparable. A cold, dead rock would probably fit better. Also, I think, it'd look better if it didn't have these spikey edges but a rather flat (yet cratered, if that makes sense) surface. Other than that, solid work. Keep it up! How about having the door not fully closed but left open by a tiny bit? It could help with conveying the feeling that something's wrong. Also, how about some faint humanoid shapes lurking in the dark? Just to increase the sense of eeriness. I'm going back and forth between the opening and the door and I can't decide which one I want to look at. I do agree about the colors, though. I'm usually a fan of barely-colorized pictures but I think that particularly this piece could use a healthy splash of colors. Either way, it's a good piece so far. Keep it up! Awesome release, really well done, guys! I personally like to refrain from having purely black backgrounds (disregarding the starfield for now). Thus, it gives me the chance to integrate the nebula better into the image. Just try to place it into some dark filaments of gas (note: "dark", not "black") to give it that bit of details. As the focal point is probably going to be the top left anyways, it doesn't necessarily have to be as detailed, so using hard round and soft round brushes should work better in this case than fractal brushes. As for the star-field itself, it is okay. 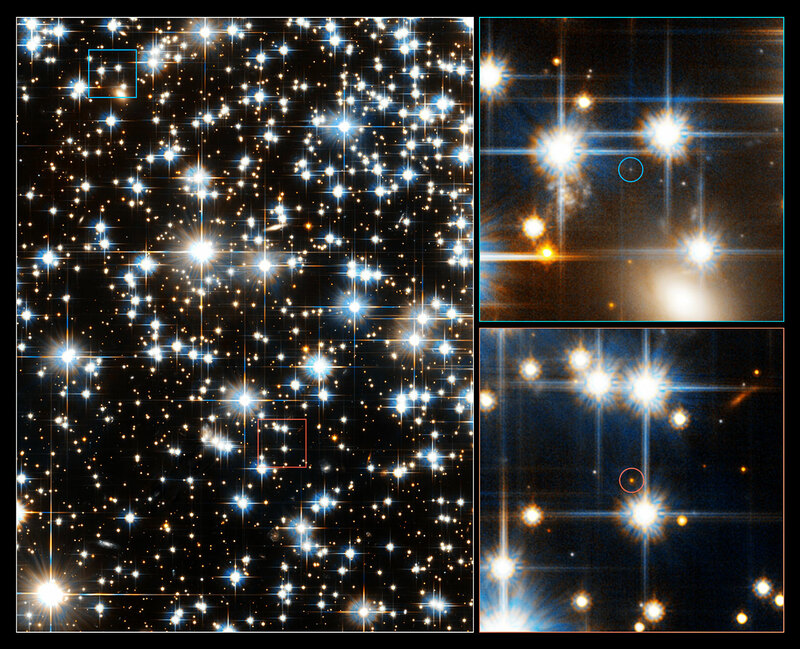 I see that there are some red and blue stars scattered among the white ones, which is good. However, I'm sure that giving some more white stars a red/blue tint would be beneficial; especially when it can intermix with a few fuzzy nebulae of any suitable color. That's all I can think of right now. Either way, it's already pretty good but try to push yourself even more. This can become something really great! Work in progress - and ideas? Totally in for something dead. Either a half-buried skeleton of an animal/human, the stump of a dead tree, etc. Alternatively, some barely uncovered ruins similar to those on the right could work well. - What is that for a light on the bottom left? Best would be to brush it out, I guess, because I think it would work best with it being left out. - The white material of the ship could maybe be a tad more reflective to give it a more "paint on metal"-look instead of "rather plastic". - Everytime I have look at the sea, I have seen quite some waves. Doesn't need to be those 30m-breaking-waves but just a little displacement of the surface. Yeah, that's all I can think of right now. I really dig the image except for the points mentioned above, though. Great work, keep it up! Haha, welcome to my world! I've been listening to Evanescence for like a month now! On repeat over and over! Because Chopin is just awesome. And maybe another volcano in the far back. Just some sort of silhouette with a bit smoke coming out. Mmmh, to me, it feels a bit "overfiltered", especially the first one. I personally don't particularly dig those effects as you practically hand over your control to photoshop in the hope something pretty turns out. The best way is to either overpaint areas that you'd like to give some further treatment or overlaying photographic textures. For example, the outlining of the girl in front doesn't blend in well with the environment. Second point are the values. I see that there is a general understanding of them present but it could be further refined. The zombies should generally be a little lighter, considering that they are not as close to the viewer as the foreground-elements (I feel like I'm saying redundant things ). Also, true, the further an object is away, the less details should it have. However, when I look at the frontmost zombie, he/she/it is uniformly colored, whereas the tree behind has a photographic level of detail. This doesn't quite match. Considering that there is a whole lot of ambient lighting going on, it should be equally lit to its surroundings. The zombies in the back could get a slight blue hue just so that they fade nicer into the background. Then, just a minor thing: the blood on the axe seems to light to me. It's as if it's emitting light. Now, if the girl hasn't slaughtered zombies with flourescent blood, this should actually not happen. My suggestion would be to tone it down a bit. The rest looks alright to me. Gosh, I've gotten absolutely rusty. I should study less and paint more.